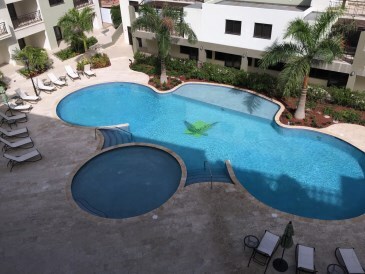 UNDER CONTRACT | SALE IN PROGRESS A beautiful one-bedroom condo for sale located in the gated community known as "PalmAruba Condos". 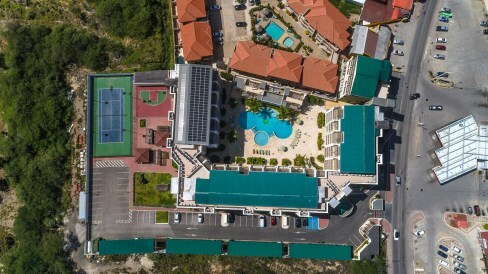 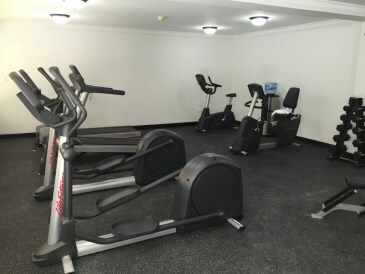 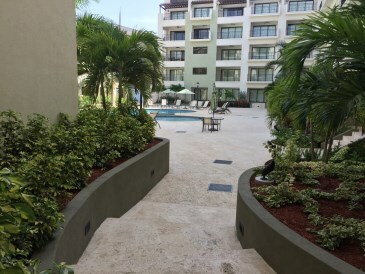 This condominium resort hotel offers elegant condo units with many attractive amenities. 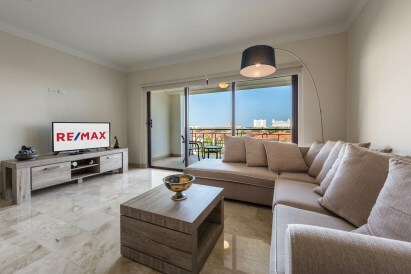 PalmAruba 406 has marble floors, stunning views and is located on the 4th floor with a living space of 76m2 (786 Sq. 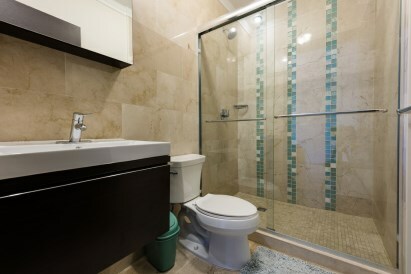 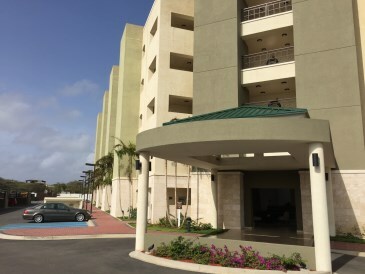 Upon entering this condo you will find one spacious bedroom with built-in closets and a bathroom on your right side. 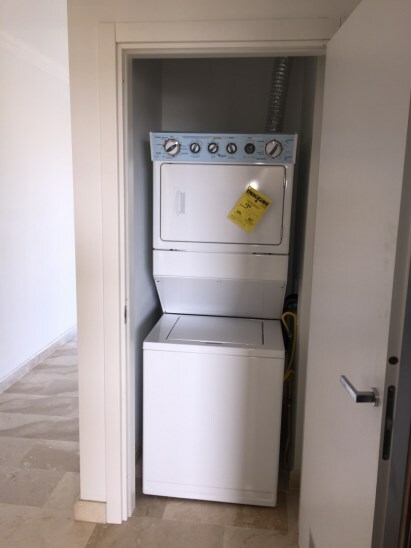 There is also a laundry closet with a washer and dryer. 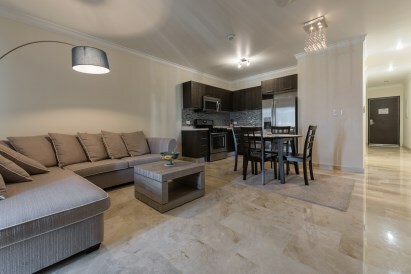 The hallway leads into an open kitchen and spacious living area. 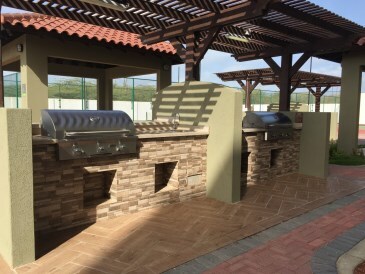 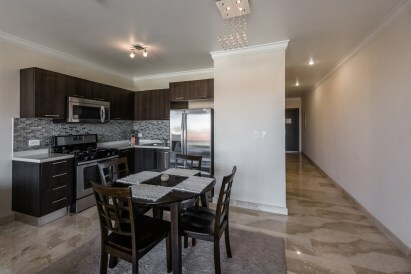 Kitchen is equipped with a stove, oven, microwave, dishwasher, double door fridge and has a silestone counter top. 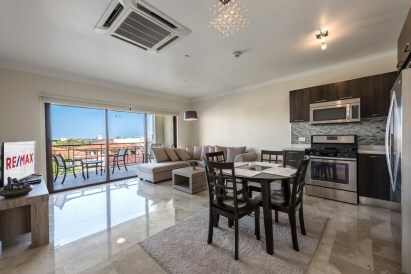 The living room and balcony are connected with glass sliding doors. 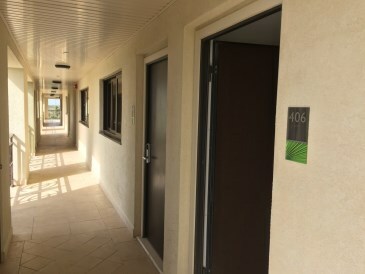 Balcony size is 11 m2 (119 Sq. 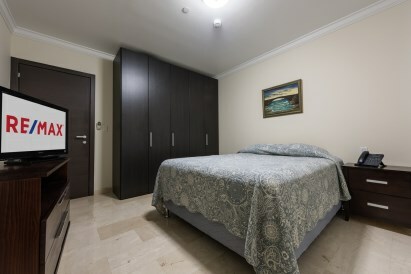 The unit also includes furnitures and a storage space. 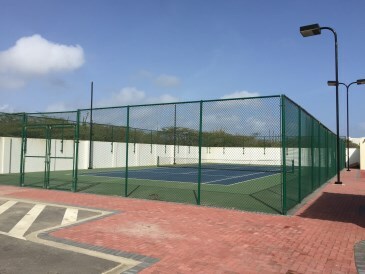 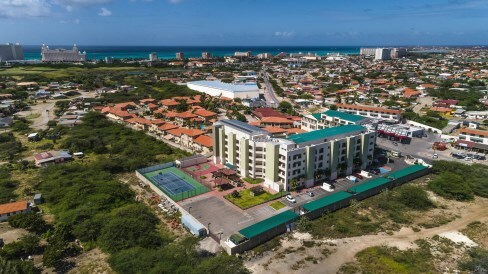 Make this place your Aruba dream home and enjoy the benefits PalmAruba Condos offers such as a gym, tennis and basketball court, or relax under the parasol by the pool. 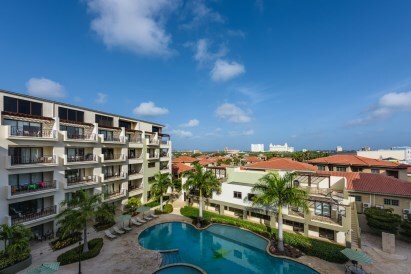 Located right in the heart of Palm Beach area close to Aruba's beautiful beaches: Palm Beach & Eagle Beach. 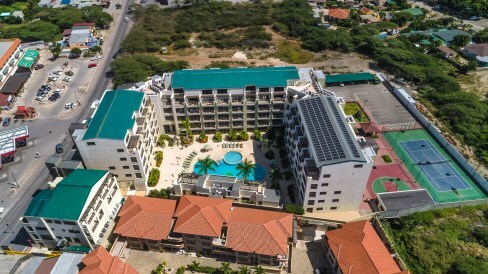 Just around the corner you will also find the finest restaurants, world class shopping malls, premier entertainment and a friendly culture.